Branson, MO – September 25, 2014 – Roller Coaster Race has partnered with Silver Dollar City and the city of Branson for a half marathon, 5K, kids mile and Roller Coaster Ride(SM) taking place at both the theme park and Branson Landing on October 11-12, 2014. This exciting partnership aims to encourage fitness and entertainment for the whole family by holding professional, USATF-sanctioned running events for all skills and ages in conjunction with the completely unique roller coaster event, Roller Coaster Ride(SM). 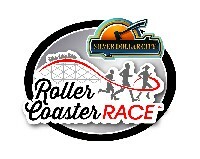 Starting Saturday, Oct. 11th, the Roller Coaster Ride(SM) will be held for roller coaster enthusiasts and non-runners. During this exclusive experience, participants ride a total distance of 5K on roller coasters to win a medal. Coaster rides will be tracked throughout the day on Silver Dollar City’s six coasters during normal operating hours. Also on Saturday, the family-oriented 5K run/walk starts at 7AM and is available for runners and walkers of all ages. The kids’ mile starts at 8AM for kids up to age 12. A pasta dinner party will take place in the park that evening at 6:30PM with Eric Johnson of UltraMax Sports Springfield as guest speaker. On Sunday, Oct. 12th, the Roller Coaster Race half marathon will run through the streets of Branson, starting and finishing at bustling Branson Landing. 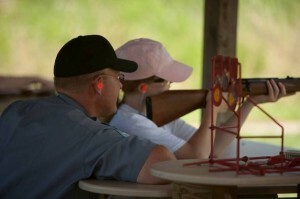 Participants can register for one, two or all events. The Roller Coaster Race is fundraising for the following charities: the Ozark Mountain Family YMCA, The Caring People, and the SYTA Running for Youth program. In addition to being able to fundraise for those organizations, people can donate to the charities during event registration. Roller Coaster Race is a new national endurance running series partnering with theme and amusement parks across the country to create family destination travel events that encourage fitness and entertainment. The series will be holding three events in 2014 and adding several more in 2015. Silver Dollar City has more than 30 fun-filled rides that offer something exciting for each member of the family, from speeding steel coasters to wild water rides. Test your grit aboard great thrill rides such as Outlaw Run® – the World’s Most Daring Wood Coaster – Voted Best New Ride of 2013 worldwide! WildFire®, PowderKeg® and The GIANT Barn Swing will also excite the daredevils in your family! Plenty more pulse-quickening Branson attractions can be found within the park. Eric Johnson is a personal trainer and current General Manager for Ultramax Sports. He has a Master’s Degree in Public Health (MPH), has served as a board member for the Ozark Mountain Ridge Runners, and co-founded the Ozarks Multisport Club. He’s has competed in nearly every type of endurance race, from 5Ks to adventure races to ironman triathlons. Eric is also an International Foot and Gait Education Council Certified Shoe Fitter and Bike Fit Systems Level I Certified Bike Fitter. (Nashville, TN – September 12, 2014) ~ World-renowned, award-winning, Master Illusionist Harris III (the Third) is scheduled to perform in Branson September 23 at a private event held at Branson Convention Center. With a masterful sleight of hand, Harris performs the most intriguing innovative illusions as he tricks audiences into believing what they see. But as we all know, things are not as they seem. Deception is the message of Harris’s film Entangled and book The Illusion of More. Harris opens our eyes to the power of deception and exposes lies that we all universally face. Entangled: For Everything There Is A Key is a narrative film that chronicles the life of an Illusionist (Harris) as he prepares for the biggest illusion of his life and his search for truth. The film also has vignettes of Harris performing live on stage. 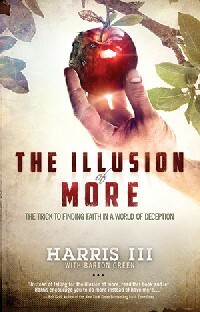 Included in the 2 DVD set is Illusionism, where Harris teaches a crash course on the performance art of magic. The Dove Foundation has given Entangled the Faith Friendly Seal of Approval for All Ages. The Illusion of More: The Trick To Finding Faith In A World Of Deception reveals falsehoods and the dangers of self-deception. Harris’s message of truth is daring, revealing and will transform one’s true purpose. The Illusion of More is co-authored by Barton Green. Destiny Image Publishers, located in Shippensburg, Pa, was founded in 1983 by Pastor Don Nori, Sr. It seeks to accurately represent authors who have a call to share God’s present word to His people and to make these authors easily accessible to the Christian body around the world in every form of media possible. Harris III (the Third) is a classically trained, award-winning, master illusionist, and an expert in the art of deception. He has performed before 1 million people in more than fifteen nations on five continents. Harris’s performances not only amaze his audiences, but also awaken them to the lure of deception, the power of the senses, and the secret of living life based on deeper realities. More than an entertainer, more than a speaker, Harris is an artist. But what is an artist? When we hear that word, most people usually think of someone along the lines of a painter, sculptor, musician, etc.“Illusionist is far from the first thing on your mind, if you were to include it at all.” For Harris, magic consists of so much more than simple tricks. To him, it’s about creating works of aesthetic value that create a sense of wonder. Put simply, Harris is elevating the art of illusion to its original place in the performing arts. It is not just about what audiences see, but about what they experience. And better yet, what they feel. This is magic at its best, and truly, a creative work of art. While Harris has earned respect as an artist to many, ultimately, he’s an equally respected communicator. Whether telling a story, speaking from his heart, or performing magic, his ultimate goal is to inspire and challenge people, initiating change and transformation. For a copy of Behind the Illusion and/or The Illusion of More please contact publicist Rhonda Zippro at RDBPublicity@aol.com or call 510-367-5990.